International performer, drummer, composer, record producer, educator and multi-award winning Barry Elmes is a mainstay of the Canadian jazz scene. His work has been documented on over 70 jazz CDs and he has performed and/or recorded with many renowned jazz artists including: Tommy Flanagan, Charlie Haden, Hank Crawford, Diana Krall, Joe Henderson, John Abercrombie, Oliver Jones, Cedar Walton, Phil Nimmons, Dizzy Gillespie and the Moe Koffman Quintet. 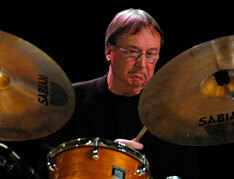 In 1991 he formed the Barry Elmes Quintet, featuring a "who’s who" of the best in Canadian jazz. A success from the beginning, this group has released four notable recordings, the first of which, the critically acclaimed “Climbing”, featured Barry's own compositions and received a Juno nomination for Best Jazz Recording. His CD "The Five Minute Warning" received an Indie Award nomination for Best Jazz Recording 2001. 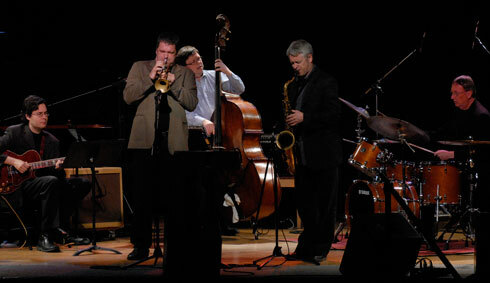 The Barry Elmes Quintet won Acoustic Jazz Group of the Year at the 2002 National Jazz Awards. Barry has performed all over the world. He represented Canada at the 1992 Venezuela International Jazz Festival with the quartet Time Warp. In 1994 he was featured with the Oliver Jones Trio on the Governor-General's Tour of China, Japan and Korea. In 1996 he performed in Brazil and toured South Africa with the Canadian Jazz Giants. In April 2000, Barry’s quintet completed a groundbreaking tour of Chile. In 2001 the quintet celebrated its tenth anniversary with a Canadian tour. Barry's current projects include his new CD release "Redshift" which showcases new compositions performed by his regular quintet (featuring Mike Murley, Kevin Turcotte, Reg Schwager, Steve Wallace) plus special guests Kelly Jefferson (saxophone, flute) and Vanessa Rodrigues (Hammond organ), released in March 2011. In addition, Barry continues to produce recordings for a variety of artists, co-leads the jazz quartet Time Warp and presides over Cornerstone Records Inc., a successful artist-owned jazz label and publishing company dedicated to presenting recordings by Canadian jazz artists. Barry is an associate professor of music at York University and served as Chair of the Department of Music from 2007-10.